ZTE is held Russian presentation of their products, among which there was a place flagship Axon Mini. ZTE focuses on several of its features – design (the housing is made of lightweight aircraft aluminum) audio capabilities (DAC Asahi Kasei Microdevices AKM4961), security (three levels of authentication – a fingerprint scanner, iris analyzer and voice) and extensive photo and video (13-megapixel main camera with ultra-fast focusing and noise reduction in video mode, the 8-megapixel frontalka with a viewing angle of 84 degrees). In addition, Axon Mini received 5,2 “Super AMOLED-display with a resolution of 1920 x 1080 pixels, 615 Snapdragon chipset, 3GB of RAM, 32 GB internal storage and Android 5.1 Lollipop. ZTE representatives stressed that pride themselves on their novelty, which has its own character, style, unlike the others, while delivering greater functionality. The device is already on sale in Russia at the price of 29,990 rubles. 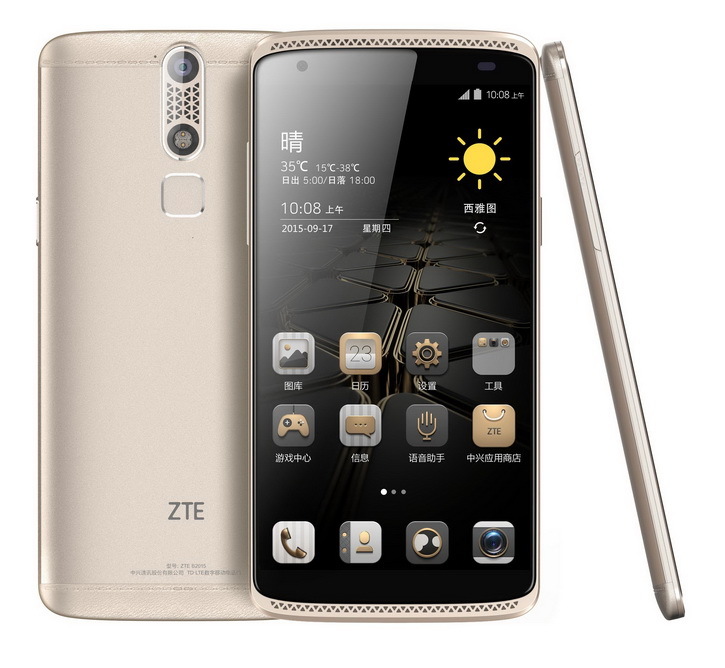 In addition, ZTE has shown a series of gadgets, grouped according to the criterion of “maximum flexibility at the lowest price» – Blade X3, X5, X9 and Z7. Younger models X3 and X5 are built on the chipset MediaTek MT6735 1 GHz and 1.3 GHz, respectively, have a 5 “display with a resolution of HD, 1 GB of RAM, 8 GB of ROM and support for LTE. This chip was the X3 4000 mAh battery on and X5 – 13-megapixel and 8-megapixel camera (battery – 2400 mAh). Prices in Russia – 8990 and 10 990 rubles, respectively. Blade X9 – PHABLET with 5,5 “Full HD-display, 615 Snapdragon chipset, 2GB of RAM, 16GB ROM, 13-megapixel and 5-megapixel camera, 3000 mAh battery on and positioning as a safe device through a fingerprint scanner on the rear panel. The recommended cost – 17 990 rubles. Finally, Blade X7, ZTE calls uncompromising choice for fans of minimalist design and mobile photos. Specifications are as follows: 5 “HD-screen with MediaTek MT6753 chipset, 1.3 GHz, 2 GB RAM, 16 GB of ROM, 16-megapixel and 8-megapixel camera, 2200 mAh battery and on Android Lollipop. Dimensions – 142.5 x 69.5 x 6.8 mm. Price Blade Z7 in Russia was 14,990 rubles.